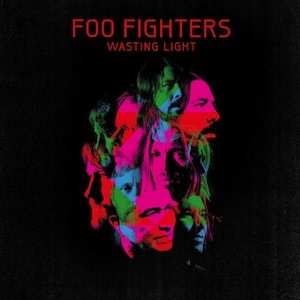 Wasting Light marks the seventh studio album from one of the greatest American rock bands, the Foo Fighters. One thing that I feel makes the Foo so great is that you always know, to some extent, what you’re getting into with them. They don’t change their sound to fit in with whatever current trend is going on in the music industry; they are focused on one thing and one thing only: making gritty, straight to the point, rock music. Wasting Light is an album that will make you reflect on all of the good rock n’ roll bands that have come and gone, being replaced by auto tune & over produced records. But hey, to each their own. However, this album goes back to the days of flannel shirts, busted Fender strats and Rock Block on MTV (90s nostalgia moment). Keeping the 90s in mind, Wasting Light goes back basics with the Foo. Between winning Grammys, selling out stadium shows, drumming for Paul McCartney and forming a supergroup with John Paul Jones, Grohl decided to build a recordingÂ studio in his garage and got Butch Vig, the producer of Nirvana‘s Nevermind, to oversee the production of Wasting Light. Along with Vig, Nirvana’s Krist Novoselic also lends a helping hand on this record. This thing should come with a warning of rock n’ roll head explosion. Really bringing the album together is Grohl’s famous mind-blowing guitar riffs on songs such as “Bridge is Burning” and “White Limo.” The album is pure alternative rock n roll; don’t be fooled by the sweet and slow vocals that start off “These Days”â€“in a classic Foo Fighters moment, less than a minute goes by when the heavy drumming kicks in and Grohl’s ever-so powerful, straight from the gut “rock voice” is released. Just when you think rock music has died, the Foo Fighters come back and kick all of our asses. I’ve never been able to say a single bad thing about this band; their music is phenomenal, their live show will melt your face off and they are the nicest people I have ever met in my entire life (yes, I have had the pleasure of sitting down with these guys for a bit!). Wasting Light may sound like a simple rock album, but it’s anything but. Once you pop this album into your iPod, car, whatever, it will feel like a 200 mph train just smashed into your face…and I mean that in the best way. Long live the Foo.